Imagine living in a city where we can still enjoy a breath of fresh air and bathe in crystal clear waters. Wouldn’t we want to see our children to run free and wild on parks and playgrounds? All these can be made possible if we are able to keep our city pollution free. This can be done if all of the city’s 14,076 residents will cooperate in making sure that we are able to dispose our e-waste properly. 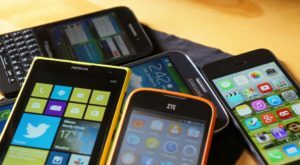 Electronics like computers, appliances, mobile phones and even printers are highly toxic and will need proper expert handling. Red Bluff Home Depot is organizing an electronics recycling event to help city residents in proper electronic waste disposal. 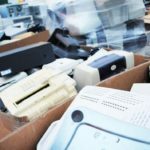 All Green Electronics Recycling, a reliable recycling company, is effectuating a collection event to help us with the proper handling of our e-wastes. The event organizers know by heart that our disposable IT items do not belong and should never go to the landfills. Let us not waste time. Let is join the collection event and do our share in saving the environment for our children’s future. Do you have old electronics cluttering up your attic or garage? Home Depot and All Green Electronics Recycling have teamed up to host an event to help you get rid of them responsibly–absolutely free of charge! Home Depot takes sustainability seriously and has launched a number of green initiatives, including community education, CFL recycling, “Green Teams,” recycling programs, a conservation fund, and reduced energy use. They have teamed up with All Green Electronics Recycling to host this recycling drive to help eliminate e-waste and better our planet.